Good morning! How is your week going? Mine has had its ups and downs. As Sunday was Easter we decided to ease into the week and take the morning off on Monday. We went for a long walk, read in the sun with the pups and then got to work. Tuesday, we had a bit of a mishap. The yard guy hit a rock and broke the rear window on my car. Thankfully no one was hurt by the shattering glass and it was fixed this morning. I have been having a hard time sleeping lately, I feel as if I am waking up every hour, I think it is insomnia caused by menopause but I am not sure. Consequently, my energy is sapped and I am struggling to get any exercise. I do manage to get to yoga but aside from that my 10,000 are sliding down to about 5-6,000 a day. Any suggestions for a insomnia during menopause is greatly appreciated. My mom is doing fabulous for those who have asked. She got her cast off her broken wrist and is undergoing therapy for her shoulder. My mother-in-law has moved into her new condo and although she misses her house she knows this is for the best. My father-in-law is hanging in there, (he is over 6ft tall and weighs 128), but he is up out of bed everyday exercising. 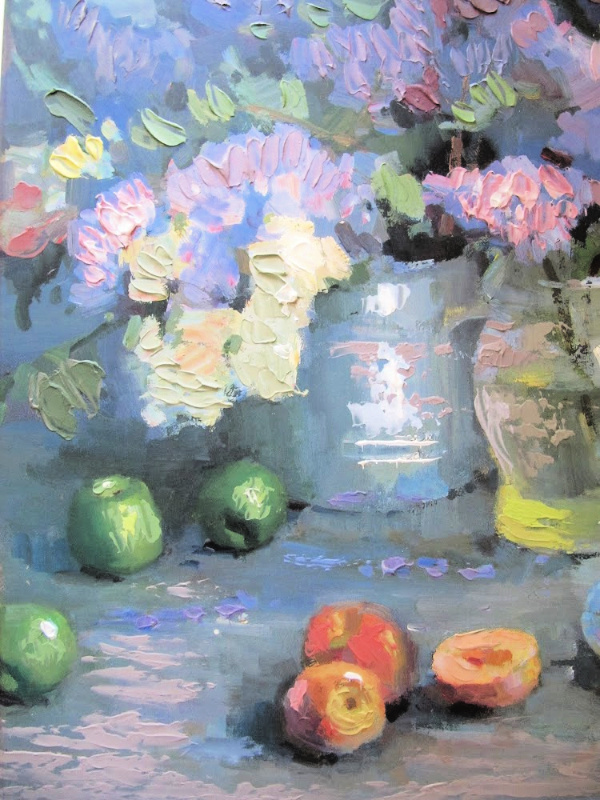 Spring is here, the azaleas are in bloom and the white, fuchsia and pink blossoms look beautiful, the crepe myrtles has leaves and the cherry blossoms are dropping. This past week to celebrate Earth Day, I planted my containers and one tree in my yard. I added several ferns this year, and instead of my typical color scheme I decided to go with purple flowers in my blue pots to compliments the green boxwood and other plants that survived the winter. I was lucky because a lot of my herbs, lavender, and other potted plants came back and I really did not need to buy too much. I am trying something new this year, I am planting flower seeds. I have never grown anything from seeds except lettuce and it was such a success last year that I thought I might try a few flowers. I will keep you posted. I read The Elephant in the Room: One Fat Man's Quest to Get Smaller in a Growing America this weekend and I am still thinking about it. When I went off to college I gained about 20 pounds more than the "freshman 15" and I felt awful, physically and mentally. The author of this book is 460 pounds and chronicles his struggles with food and loosing weight. I am curious, what do you think about the backlash from the 1 billion dollars pledged to rebuild Notre Dame? I made these spicy peanut noodles this week and they are delicious. I also made this creme brulee for Easter and it is so easy and scrumptious. That is what I have been up too lately, what about you? Good morning! 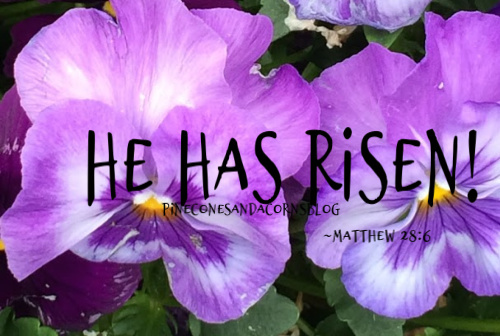 I hope that you had a wonderful Easter and that you were you able to spend time with your family and friends? Did the Easter bunny bring you lots of candy? Our Easter was nice and quiet with just my husband and I and our pups. We spent a beautiful day outside in the sun, made a scrumptious dinner enjoyed a lot of chocolate. The Easter bunny sent me a hand-made chocolate basket filled with 2 pounds of hand-made toffee, caramels and more. I also got a basket filled with my favorite Reese's peanut butter eggs. I now have enough candy to last me until next Easter. I have a few trips planned this summer and I have been searching for a few things to add to my summer wardrobe. Yesterday, I received a Talbots catalog in the mail and I found a lot a cute things. 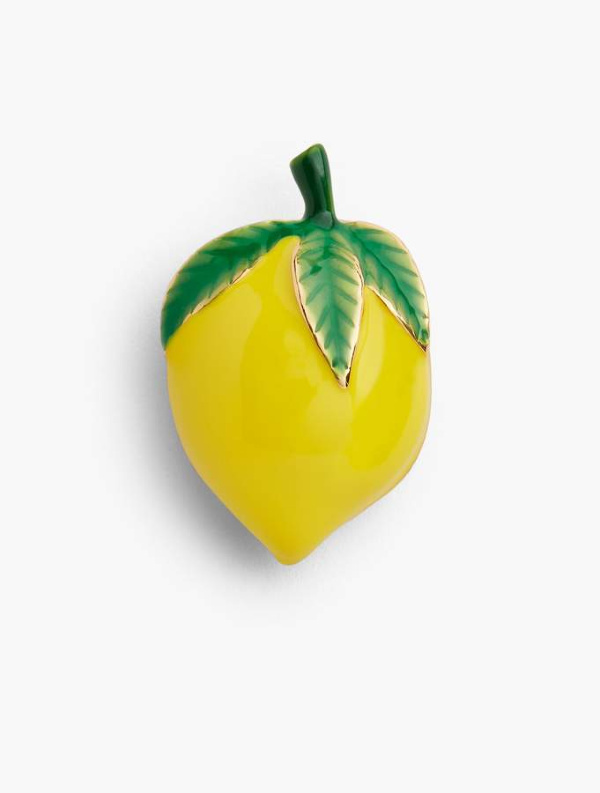 Today I thought I would share just a few of the items from the Lemons & Limes collection. 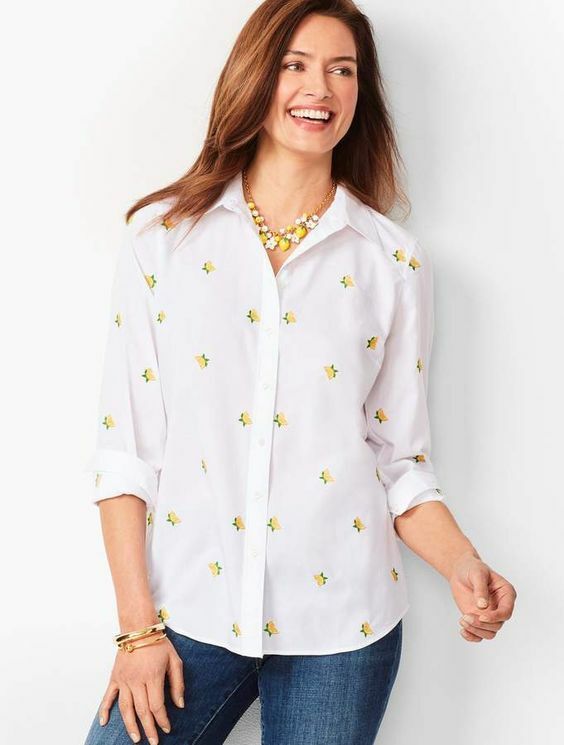 A white cotton shirt is classic, and with the addition of some lemons could be a new classic for summer. You could wear it with jeans or shorts. If you want a t-shirt instead they have one as well. 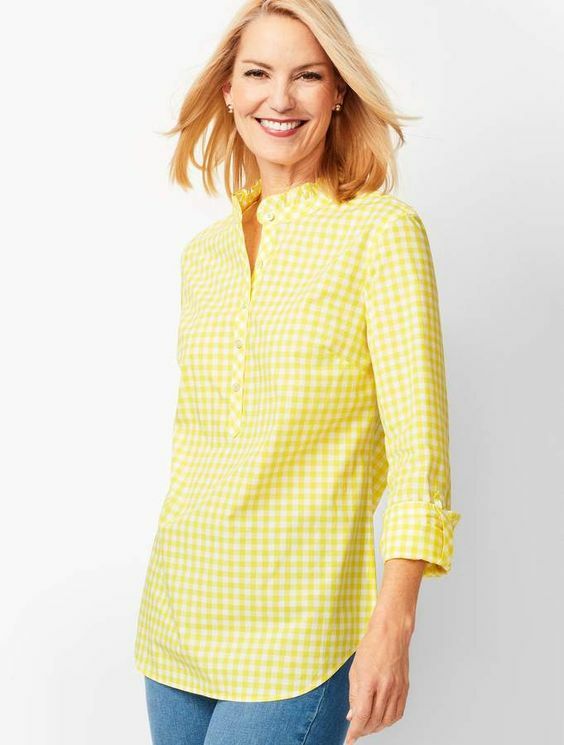 This bright gingham yellow tunic would look great with a pair of white pants. 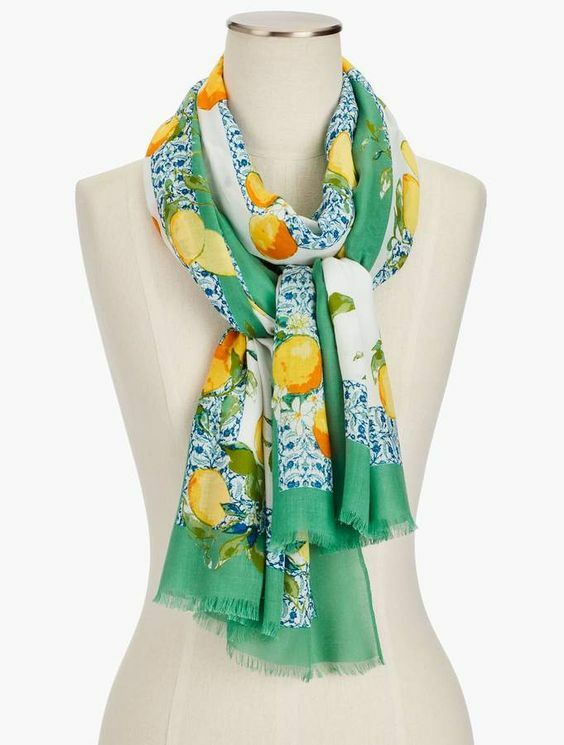 of this scarf are great accessories and would be perfect on a cool summer evening. If you prefer a pop of lemon color instead of the lemon motif, these pants are perfect! 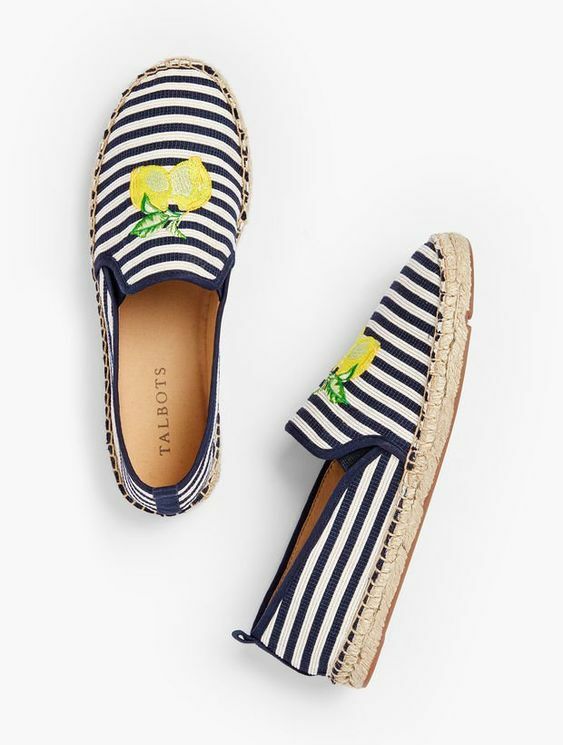 I ordered these lemon espadrilles so I will let you know how they look and fit when I get them. They also have lemon yellow espadrilles, edges and sandals too. 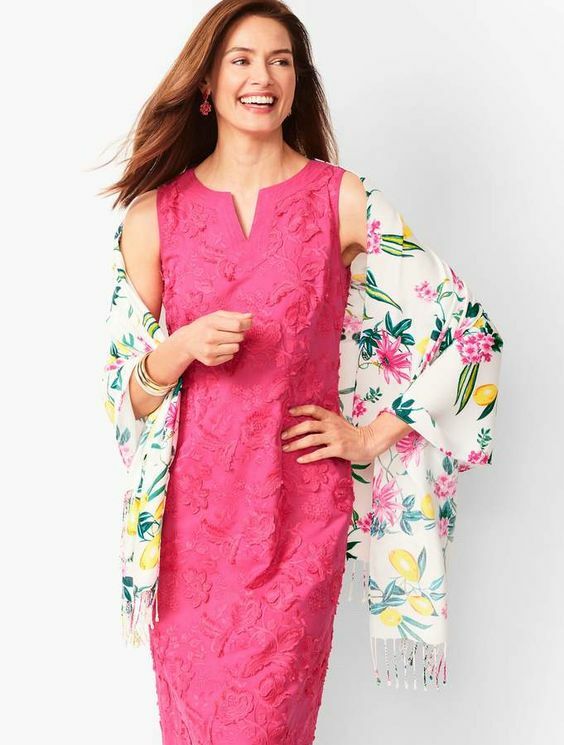 In addition to these pieces, there are sweaters, jewelry and more so if you are searching for a few new pieces to wear this summer check out Talbots. April 25th is the start of their friends and family sale and it is 30% off. I am a little confused as to the terms because the website says the sale is 30%off with Talbots credit card, the catalog doesn't note that. 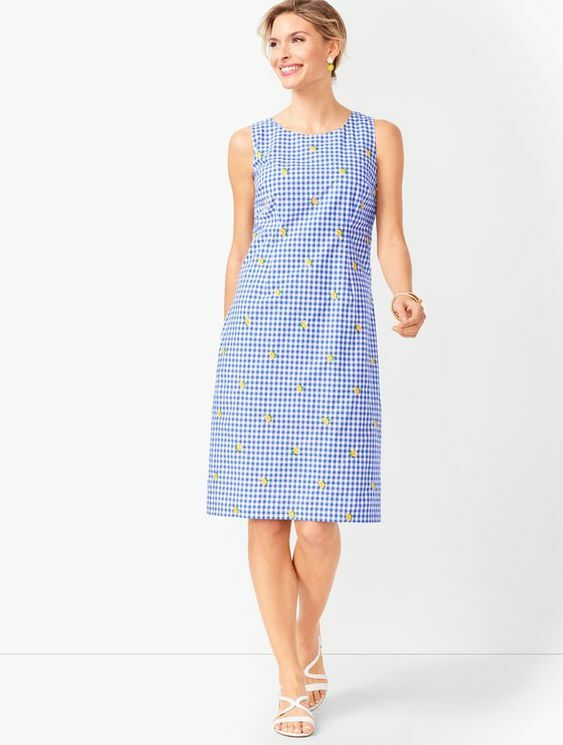 Have you purchased anything from Talbots lately? If so please share. Here are a few more finds from the sale. I hope you have a blessed and wonderful day with family and friends.